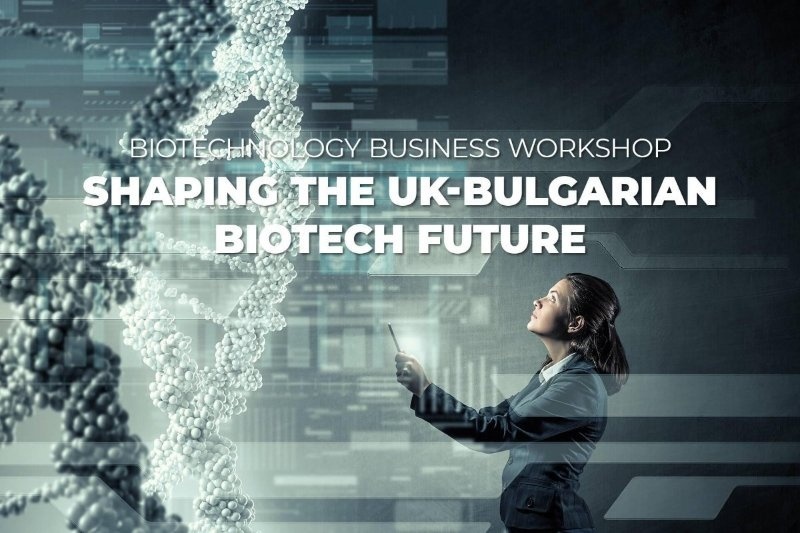 The British Embassy in Sofia and the Biotech Atelier invite you to take part in Biotechnology Business (2B) Workshop “Shaping the UK-Bulgarian Biotech Future”. The workshop aims at creating a sustainable business network and fostering a successful collaboration between the UK and Bulgaria in the field of biotechnology. The event will showcase the British excellence and innovation, and will develop commercial opportunities in this strategic sector. The 2B workshop will present the UK biotech companies as partners of choice for Bulgaria, and UK as an excellent destination for collaboration in biotech, which will match the interest of Bulgarian companies to meet their UK counterparts. The meeting will help to identify the most promising areas for business collaboration, incl. new technologies leading to open up new avenues for R&D and commercialisation projects and to build a network of new contacts in biotechnology for fostering the establishment of sustainable business collaboration. Biotech companies from Bulgaria can still apply for participation in the 2B workshop. Due to the limited number of participants, the applicants will be pre-selected and contacted prior to the 2B workshop. Please send your Expression of Interest by filling in the form on the website of the event.